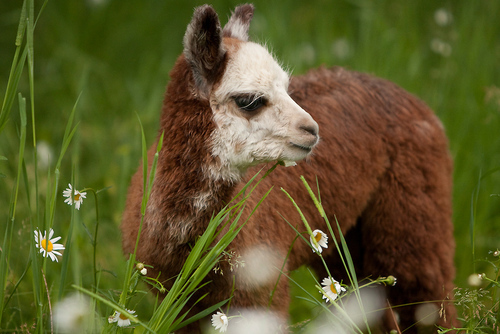 Alpacas As Never Seen Before! 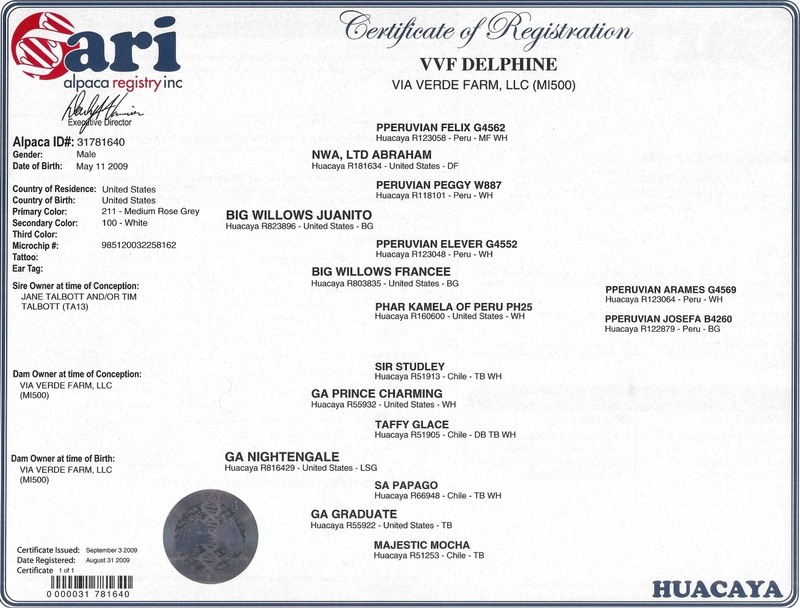 VVF Delphine is a medium rose gray with a white face. He has good confirmation and a gentle face. He has good coverage and really is a beautiful animal. 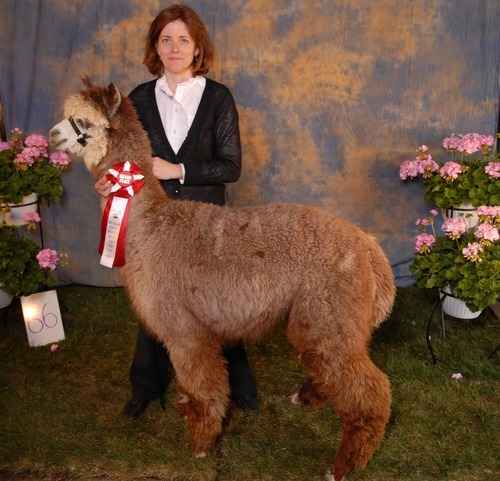 He has won 2 blue ribbons for his fiber and placed 2nd at the Michigan Breeders Show in 2011! 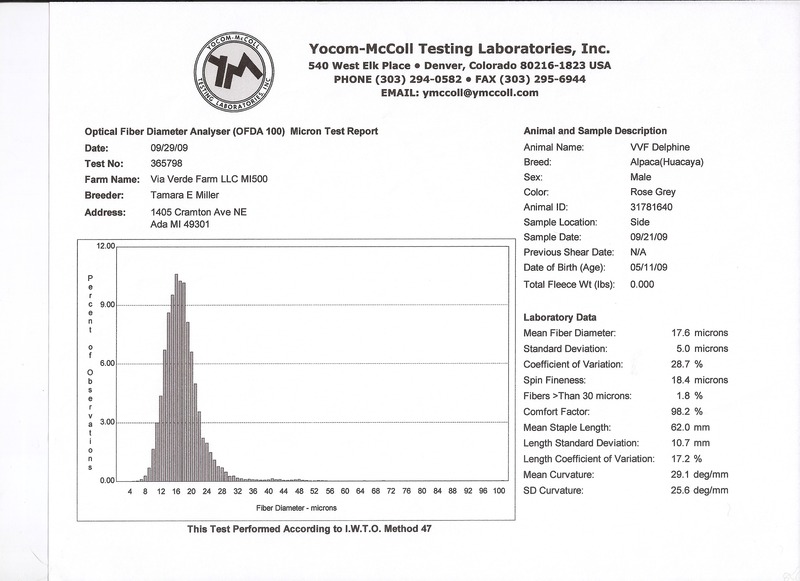 His fiber has excellent uniformity throughout his fleece and good crimp. When spun his fiber is very soft and has a excellent loft. The judge at the National Champions Show, where he placed 1st, stated that "his fleece is impressive!" Delphine participated in the 4 H Kent County Youth Fair. He is accomplished at! obstacle courses, showmanship and has even worn a costume for a class! He did wonderfully and managed very well with all the attention from the fair. He is an exceptional boy!